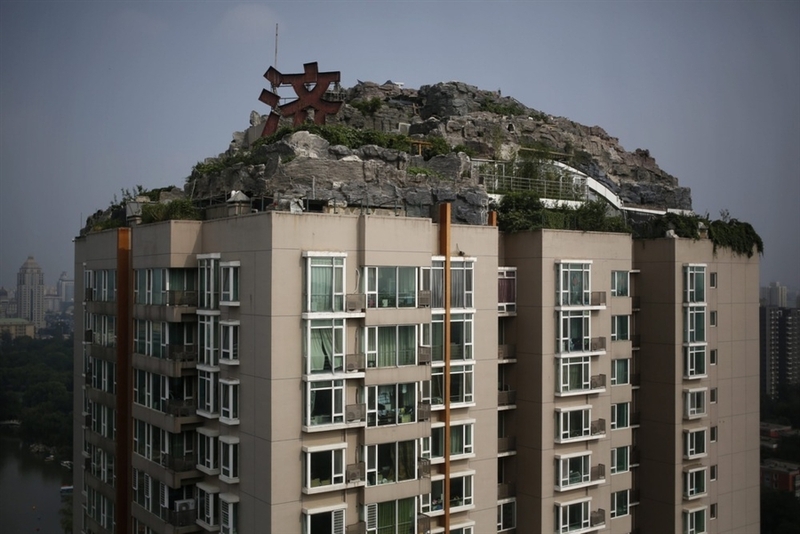 Once you start roof gardening, it is hard to know when to stop. We’ve added a Japanese maple this summer and can always find room for a few more annual, but a whole mountain?! Fascinating. Read the whole story and see more photos on NBC News. 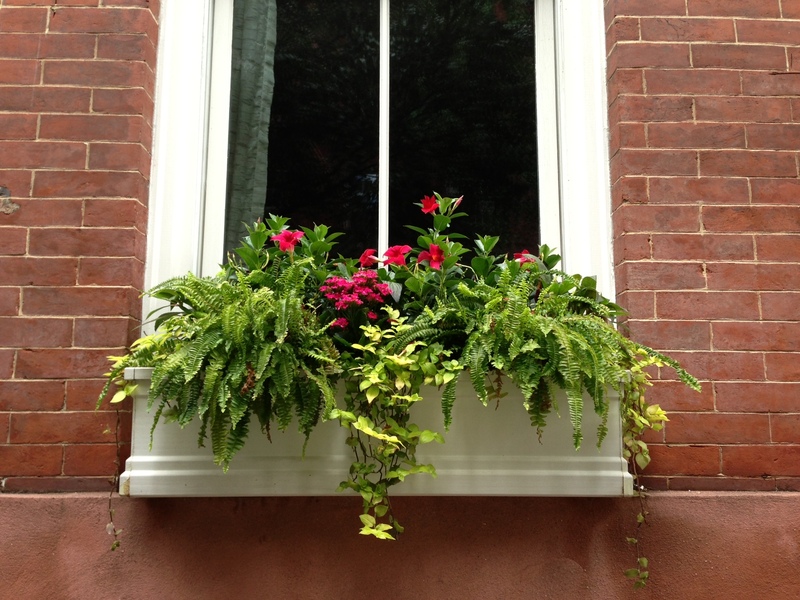 Color and texture working together in this early summer window box in the West Village, NYC. Would you put a sofa in your roof garden? This Catalina sofa looks like an indoor piece, but is designed for water drainage with Sunbrella fabric and mildew resistant foam. 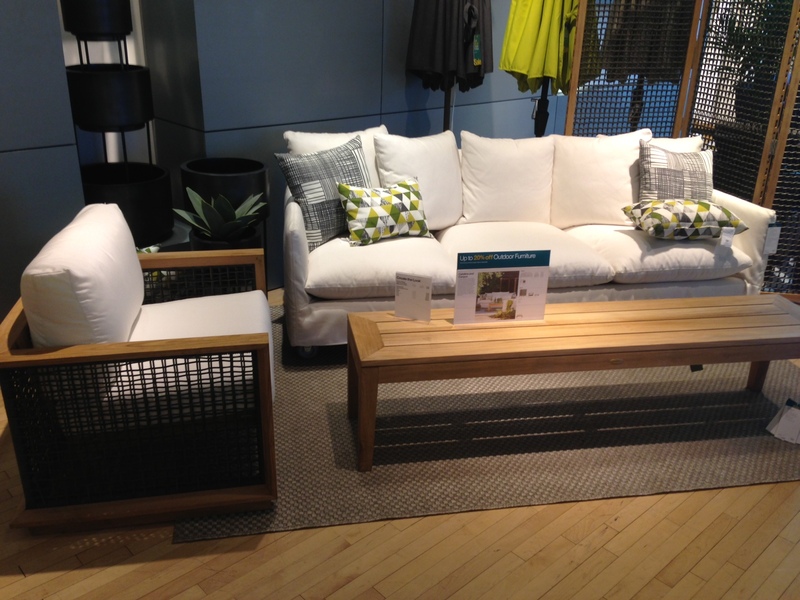 Total urban outdoor indulgence on sale for $2699.00 at Crate & Barrel. We renovated our kitchen this fall. We added a big ice maker right at the foot of the stairs to our roof garden. Even if we have margaritas for a dozen guests or serve beer by the case (or kegger! ), we shouldn’t run out of ice. What we haven’t figured out how to get the ice up to the roof yet. 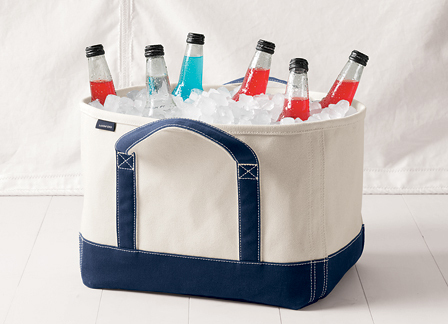 Traditional coolers seem bulky and hard to store, so I’ve got my eye on these cooler totes from Land’s End. Today it is on sale for $35.60. The garden tote is part of the sale too. We’re off to Philadelphia for the Flower Show on Saturday. We consider it the start of our roof gardening season. 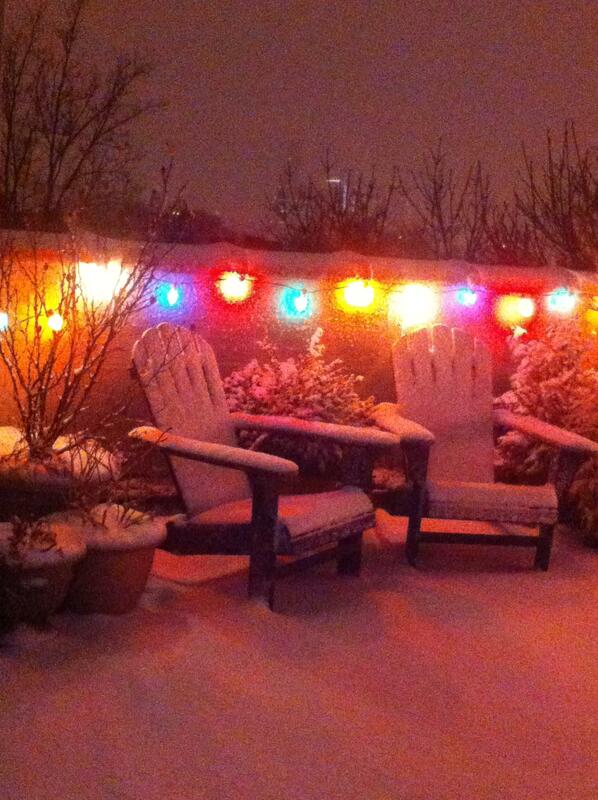 This photo shows the Loll Adirondack chairs I gave RP for Christmas. They are so sturdy and even have their own beer bottle openers in the arms. I can’t wait to kick back there and watch the roses. Ready to Buy a Roof Garden Of Your Own? Here’s two properties with inspiring terraces available in beautiful Brownstone Brooklyn. Both are within walking distance of the Brooklyn Botanic Garden. First up is this one bedroom in Crown Heights with a 248 square foot private terrace. If you’re ready to park your plants someplace posh, check out this two bedroom in a new building in Park Slope. With over 1,000 square feet stretched across two terraces, there’s almost as much private outdoor space as indoor space. Tropical plants seem to be trending this summer. 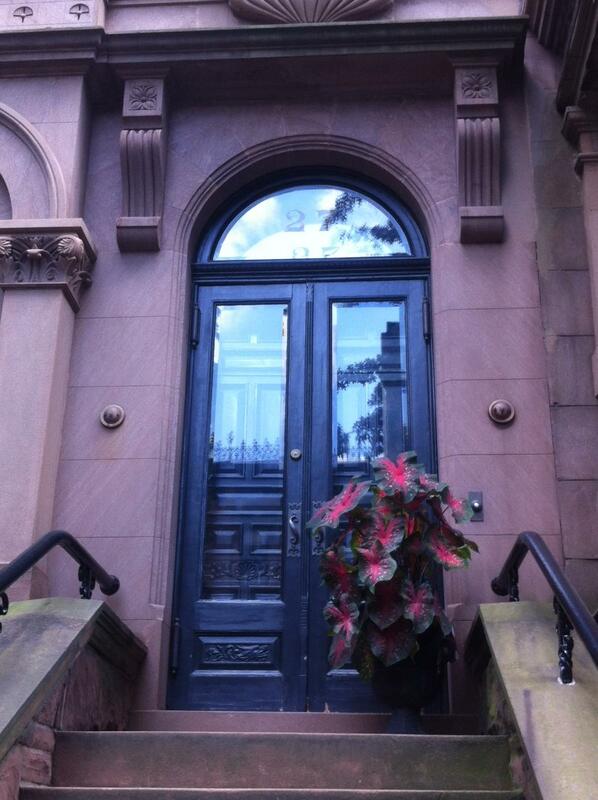 I like this single plant arrangement in front of a Brooklyn brownstone.